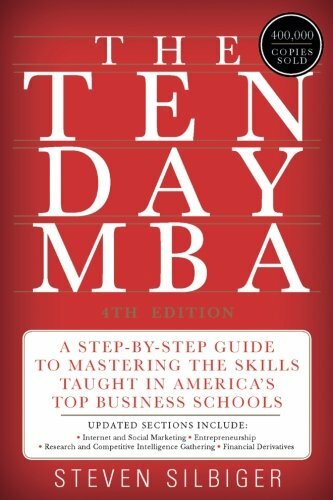 Revised and updated to answer the challenges of a rapidly changing business world, the 4th edition of The Ten-Day MBA includes the latest topics taught at America’s top business schools, from corporate ethics and compliance to financial planning and real estate to leadership and negotiation. With more than 400,000 copies sold around the world, this internationally acclaimed guide distills the lessons of the most popular business school courses taught at Harvard, Stanford, the University of Pennsylvania, the University of Chicago, Northwestern, and the University of Virginia. Author Steven A. Silbiger delivers research straight from the notes of real MBA students attending these top programs today—giving you the tools you need to get ahead in business and in life.